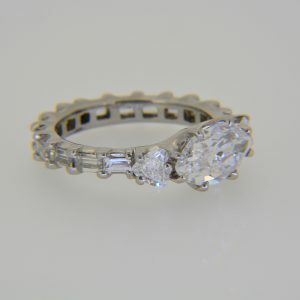 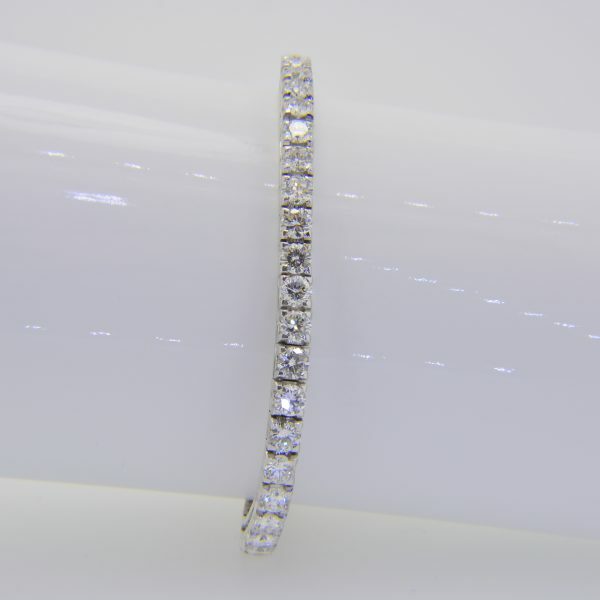 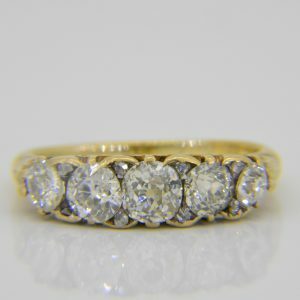 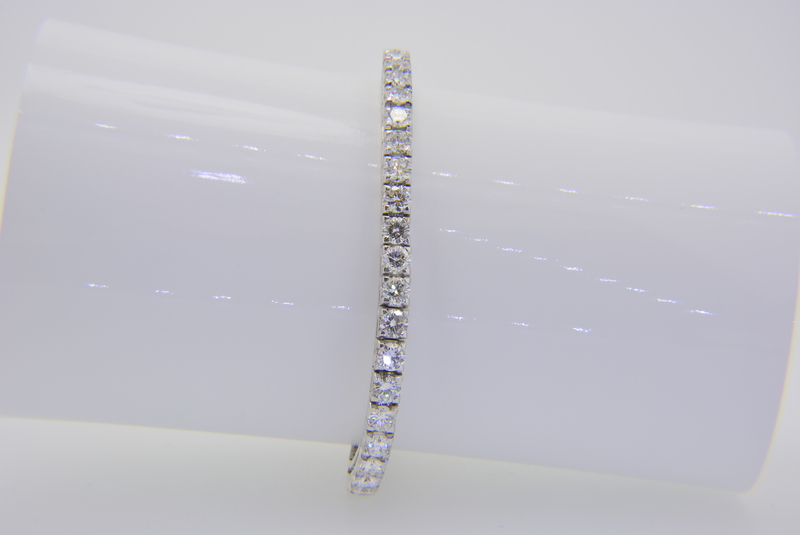 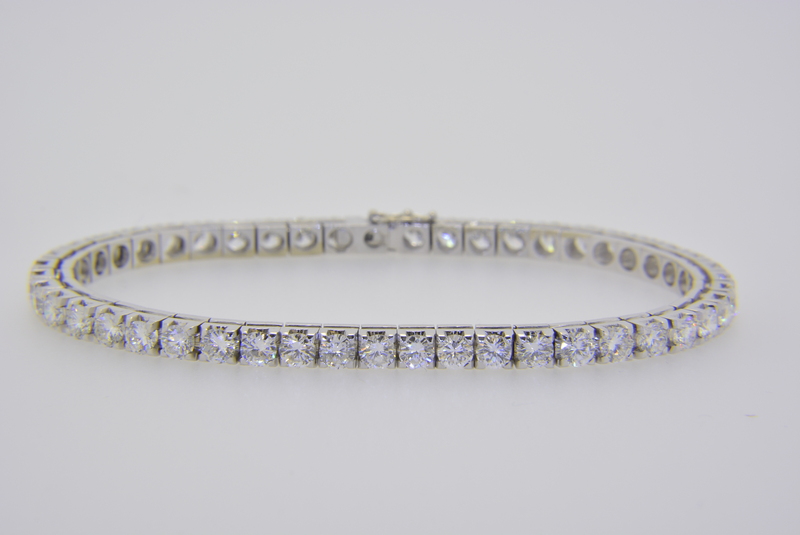 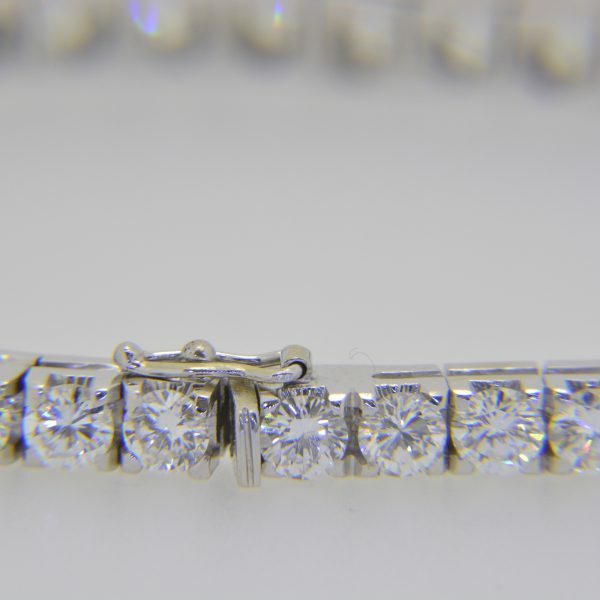 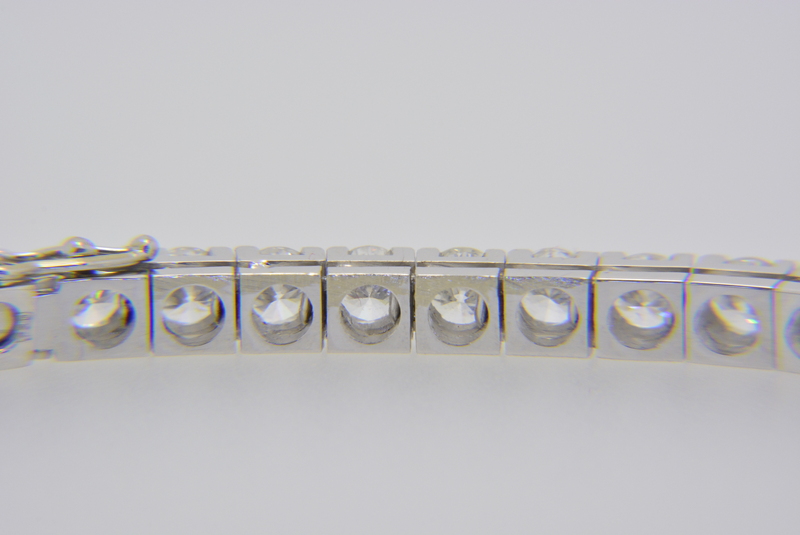 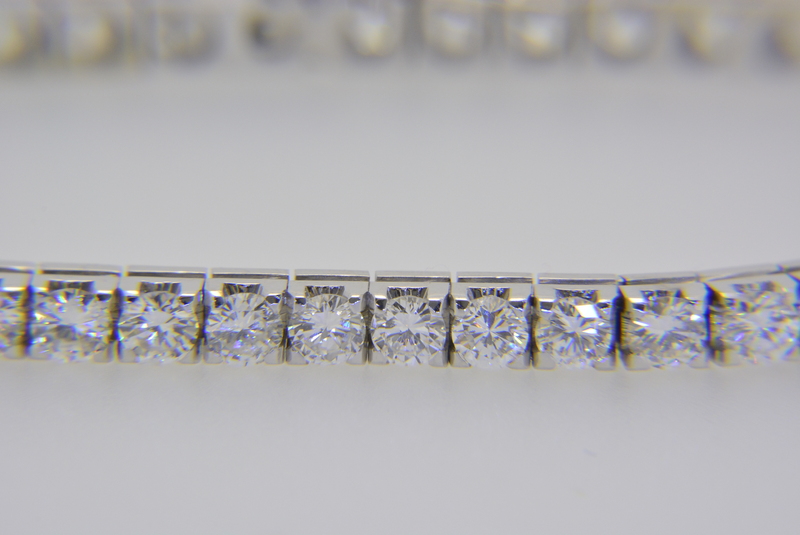 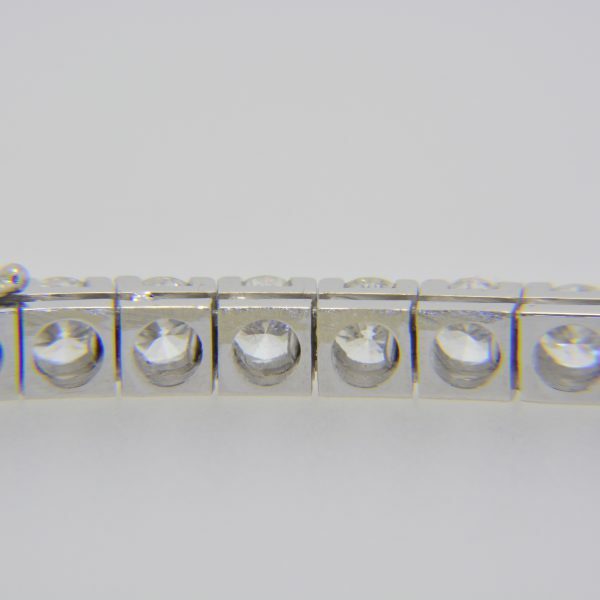 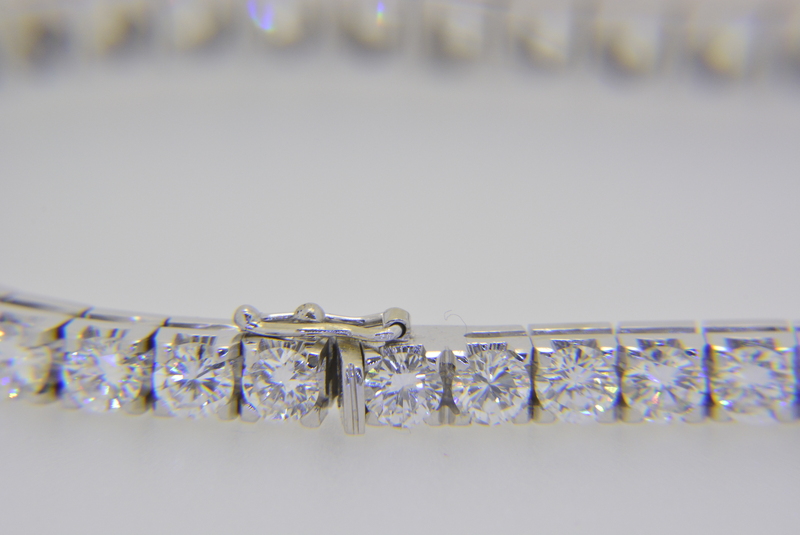 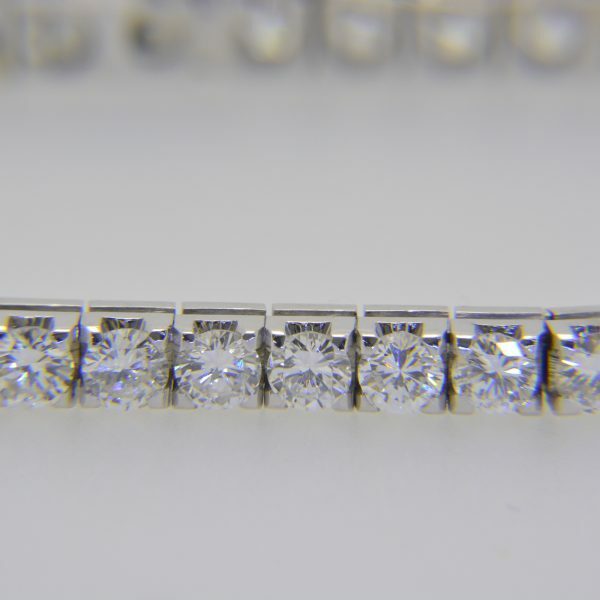 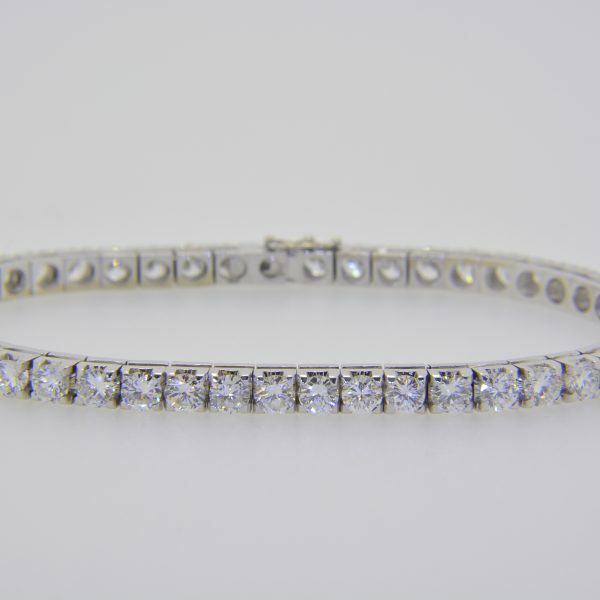 An 18ct white gold and diamond line tennis bracelet with 47 scintillating circular brilliant-cut diamonds each approximately 0.2cts assessed as generally H colour, VS clarity or better and weighing a total of 9.5cts, each in a four-claw square setting, 19mm, 7.5″ long, the clasp stamped SB Ltd, and import hallmarks for Birmingham 1982 with safety clip, 19.7gms gross weight. 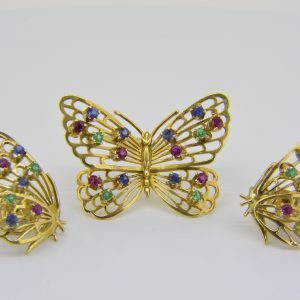 Butterfly brooch – earrings set with rubies, emeralds and sapphires, 15.5gms. 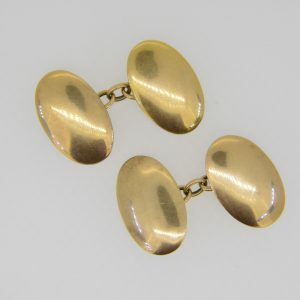 Pair 15ct rose gold vintage oval panel cuff-links, 7.5gms.